So I absolutely hated that song "Umbrella" by Rihanna when it first came out. Now, I love it. And am singing it all the freaking day long. Those freaking 1988 Boys got me hooked. What about you? Ella-ella-ella, eh-eh-eh. Found a new wonderful site, Feministing, about all things feminist. They were on the show Feminist Magazine which I listen to regularly on Wednesday nights in L.A. Very thought-provoking discussions. And men can aid and add to the cause of feminism. I'm writing, writing, writing. Novels are fun and challenging puzzles to work on. I wish I could crank them out as fast as it takes to read them. Speaking of which, I remember the fun Summer of 2005, when there was a plethora of young, gay black men adding to our fiction wealth. Rashid Darden. Trent Jackson. Dayne Avery. Alphonso Morgan. Oh, there were a billion of us out on the road that summer, hitting all the black pride events across the country. I hope we can find another summer like that when all our publication dates merge. I have no clue what or who's up for Summer 2007, but if you know, please give us the scoop. It's early to talk U.S. President election, but I think I know who I'm voting for. And I hope this person can take it all the way. Will tell/talk more later. Finally. Picture it. Ten years ago. The crazy Republicans wanted, and got very close, to impeaching President Clinton. All for a BJ. Today, thousands of U.S. soldiers dead for a cause we were lied to about. Hundreds of thousands of Iraq citizens dead. The unfolding lies. Immense unpopularity. What the heck does it take for someone to get impeached? Other than a BJ? Hmmm. Dead people and lies. A BJ. Hey everyone. Hope you all had a nice weekend out there. I certainly did. Just dropped off the buddies at LAX. Hated to see everyone go. So. Back to being independent. I love company. I love being alone too. Such a paradox. One thing we know to be true is that many LGBT high school and college age students have to declare themselves independent once they declare and disclose their sexual orientation to their families. Often, this leaves them without a financial foundation to pursue their higher education goals. The Point Foundation is one organization, of many, providing scholarships target specifically for LGBT students. Check them out. We also know there is a tenuous tug between chain stores (music or books) and independent stores. It's often framed as the battle between "Corporate America" and "Mom & Pop" stores. I like supporting independent stores and film whenever possible, even if I have to pay a bit more. Here's a link to a former blog entry I wrote, where I list a number of independent LGBT bookstores around the country. Check them out. Try to order a few things from them, even if online. Well, I know many of you are back to the 9-to-5 grind. Hope it's a good one. Got friends in from Minneapolis for the weekend. Heard "Walk it Out" about a million and one times the past three days. Hung out with some good friends, including my new best friend of 2006. That's always a treat seeing him. But of course, we know the reason for a Memorial Day holiday is to commemorate the women and men who have died in the line of military duty throughout U.S. history. When I read the Sunday paper, especially the current obits pages, and see the 19 and 20 year-olds dying in Iraq... I weep for all the lost potential that's gone. Finally started reading Eric Jerome Dickey's Sleeping With Strangers this weekend. Got me hooked from the first pages. Another writer friend, who had a black gay novel out in 2005, gave me the honor of sneak-peeking his new work, and it's fabulous. Can't wait for you all to see it. Off to WEHO to pick up a friend, heading to a BBQ dinner, and then watching Miss Universe and World Music Awards tonight. You know I'm a pageant junkie! Back to the grind on Tuesday... but "flip that ish" to a positive. Only a four-day work and school week! And for authors on contract, payday is Friday! Without Melinda in the finals of American Idol... snooze. Anyway, my new best friend from last year got me hooked on the music of Mika. So I want you to be too. Hard to classify the genre. And that's okay. Voice sounds a little George Michael-ish meets Freddy Mercury. To me. 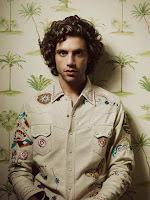 Mika is a Lebanese-born, London-bred young man. Early 20s. One of my favorites of his, that hasn't been relased as a single, is Big Girl (You Are Beautiful), an ode to real women with real curves. You can hear this one on Mika's MySpace site. So I heard about this film, Soulmate: Black Women, Relationships, and Marriage, recently when one of my students shared some startling statistics for a research project she's doing. Soulmate is a groundbreaking documentary exploring the hopes and fears of black women in the U.S. who want to partner with or marry someone with similar cultural, economic, religious, and educational experiences, but find themselves facing a myriad of challenges in this pursuit. The film focuses on straight black womens' desires and hopes. It's a very good film, and though there are some opinions voiced in it that the critical thinker in me would challenge, I still think it's must-see viewing. But the film got me thinking about something else I've always thought about. I've always thought that culturally-empowered out gay black men and culturally-empowered out straight black women have more in common than the differences that tend to be highlighted in pop culture. Both, however, struggle with finding partners with similar goals, values, ambitions, and levels of pride in their backgrounds and experiences. I've been in the room when these discussions take place! I'm sure you have too! I think both groups can and should be powerful allies in combating homophobia in society. Because it is homophobia in society that makes it difficult for some LGBT folks to come out and be proud of who they are. When they are unable to come out, this is when people lead double and secretive lives when it comes to their sexual orientation. And that's when both groups get played, so to speak. It's not open and proud gay men who are the enemy, as many would have (and still try) to lead us to believe. It's homophobia, which causes people to not be open or proud of who they are. So as we begin the summer pride, wedding, and vacation season, I think this would be a great time for bridges to be built, commonalities sought, and a time for open gay black men and open straight black women to work on a social justice issue that benefits all of us... combating homophobia. Maybe then, we can all find our true "soulmate." So I did something this weekend I've never done before. I marched in the parade for Long Beach Pride on Sunday. Participated with a large consortium of students, staff, and faculty from various Southern California universities. Originally, my plan was to drop off the students from my campus and be on my way to enjoy the festivities with my buddies. But I decided to join in with the group. So much fun. And empowering. Will get the pictures up one day soon. And then I joined up with my buddies later. Stayed ALL day until Jennifer Hudson performance... who was AMAZING!!! And she did sing "And I Am Telling You" live... the whole thing, every note, not one thing lip-synched or electronically enhanced. Fabulous show and performance! On another note, I know it costs a lot to put on a production like a Pride weekend, and the organizers need to meet basic costs. But I was wondering, if everyone who attends such an event -- and for LB Pride, with each participant spending anywhere from $20 (the basic donation/admission) to upwards of $100+ for the day -- were willing to invest that same amount in an LGBT cause or business, what a difference that would make. If you're into issues of importance to black LGBT justice issues, try out the National Black Justice Coalition. Or there are many others, including a number of bloggers and online columnists who support important issues. Consider investing in keeping their voices heard. Then I also started thinking about how, especially among young LGBT of color, the rates of poverty, educational attainment, housing and family dynamics, etc... are of concern. And then I thought about my university, and why there aren't more university recruiters staffing booths at Pride events. Unless laws change, many of us LGBT of color will be individually responsible for our own old age -- retirement, inheritance, monthly expenses, etc... Many of us will not have our own children who would take on role of caretaker in our senior years. And since getting a college degree increases the likelihood of a more financially stable future, we need more of our young LGBT of color thinking of their financial futures and their education... beyond what graphic t-shirt to wear, or what new dance to learn, or what haircut to get. Those things can come later, once you're set with life. And for colleges, what better way to work on public relations and image management than to be able to say that the campus actively supports and recruite LGBT of color young people. It could keep prideful weekends going for generations to come. Seems like it's always wedding season, although the summer months tend to be most popular. There's always some custom-made M&Ms, Pepto-Bismol colored dresses or cumberbunds, chicken dinners, matching hairstyles, walking canes for the non-disabled, or an open bar (yes!) to symbolize a couple's undying love and devotion. Think it's not the case? 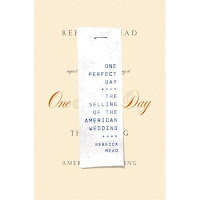 Then check out the book, One Perfect Day: The Selling of the American Wedding, by Rebecca Mead. It's an academic and critical analysis of the wedding industry, how it can tap into women's (and men's) insecurities, and how it makes tons of money based on those insecurities. Based on an interview I heard featuring the author, I think it's a good book to add to the canon of feminist literature. Definitely not saying that weddings, or marriages, or celebrations are a bad thing. But definitely saying it's good to always think about how we're marketed to, and how industries work in selling their products. On another note... If you're in the L.A. area this upcoming weekend, you have to check out the Long Beach Pride festivities. May 19 and 20, 2007. It's one of my favorite pride events in Southern California. And the major event entertainment on Sunday night only... our Dream Girl, Jennifer Hudson! Um. Of course texting and driving are a no-no. But texting and drinking. A MAJOR no-no. It all started with a wine tasting party I got invited to. Very fun, and very suburban, straight-laced crowd. You know the kind... commute two hours back and forth, to buy a home you rarely get to enjoy, and look forward to weekend Costco trips. That kinda crowd. But somewhere between my third and fourth "tasting" I sent a text message to a friend -- okay, a bunch of friends -- with the most scandalous confession. Centers around the whole "friend's exes and exes friends" topic that too is a major no-no. So once I'm home, and in the middle of the night, I start getting a myriad of responses from friends from across the country. Yes, ACROSS the country. Some funny, some asking what's up, most saying "Child, don't drink and text!" That's the lesson for today. Don't drink and text. Oh, and don't drink and drive too. Or drink, come home from a club, and call. Ewwww. By the way... I didn't DO anything along the "friend's exes and exes friends" topic. And now that I made the electronic confession, I know I won't do anything about it either. I'm far from a Carmen Mesta (Young and Restless fans, you know what I'm talking about... YouTube link 1, YouTube link 2). Ring the dinner bell... come and get it! Um. I just got a HUGE box of stuff from my publisher, Kensington, and I want to share with you! Specifically, it's a 31-page "Exclusive First Look At This Year's Best Gay Fiction!" from my publisher. Included as one of the top releases for the year is my upcoming novel, Right Side of the Wrong Bed. There is an excerpt of the book in the sampler. If you want one, or a dozen for your book club -- absolutely FREE -- hit me up at my email: fsmith827 at gmail dot com. In the email subject line, put "Free Stuff Friday! ", and in the email, give me your name and mailing address. You can also say some nice, and clean, things too! I'll send you one (or a dozen) of the 31-page samplers from Kensington. Hope you got the email code... Not wanting spammers hitting me up. Again, fsmith827 at gmail dot com. 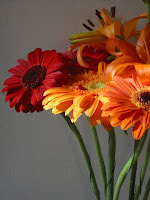 Hope it's a Good Friday and weekend for you! Feel free to link up the Free Stuff Friday on your own site! And the book is now available for pre-order on many online retailer sites. So it's getting hot. People will be eating less, drinking more, and taking those volatile body chemistries to clubs, prides, and other summer outings. 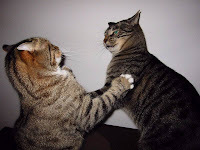 All of which can lead to Club Fighting, something I wrote about a few years back. Seems one of my 1988 Boys has developed Club Fighting mentality recently. Can't figure if it's the new "friends" made since moving to L.A., or if it's just one of those things... like some people are just naturally pleasant and others are naturally attitudinal. Who knows? I do believe that young people have to be EXTRA picky about their friends. Cool and cute don't always cut it. Now... I'd like to think I'm one of those naturally pleasant people. Or maybe I'm just a realist. I've come to understand, through my academics and my work with students, that the "attitude" displayed is usually due to one being angry/insecure about one's self. And that the only way to overcome "attitude" is to work on the areas, or work to accept and be okay, about one's challenges. Are any of you reformed club fighters? Or reformed attitude boys/girls? How did you come out of it? What can we do to make sure the upcoming summer is a good, and safe, one -- emotionally and physically -- for our brothers and sisters? So I've been hearing some good things about this new film, Chalk, opening up this weekend. It's an independent -- the kind I generally go for -- and it's getting great reviews by those in the know. Follows the lives of first-year teachers in public education. It's a film, but done in a documentary style, ala the fabulous Best In Show. Did you know that half of all first-year teachers in public education quit teaching within three years? Somehow, the idealism of the the job gets tainted by the reality of teaching for test scores, administration, and children with unique behaviors (a term I learned from one of my former students who teaches children with unique -- aka unruly -- behaviors). Chalk, apparently, aims to show the highs and lows of public education from a teacher's perspective. And a plus... if you go with an educator, you get two-for-one admission during opening weekend! At least that's the rumor I heard. Check it out. Politics. So funny how you can pick up on people's agendas. I was recently in a meeting, and someone's name kept coming up -- people criticizing their work, complaining about their alleged money management problems, disorganization, etc... This is a person of color they were criticizing, so of course internally I'm not feeling the direction of the conversation. But wanting to keep the conversation from turning on me I kept quiet. How do you handle the delicate nature of politics within your places of interest? Finally. Politics. Please check on your voter registration status, make sure you're on your city/county rolls, and that you haven't been moved. Google: check voter registration status, and then find your state or city. Yeah, I know the U.S. Presidential election is over a year away. 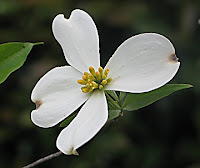 But I had an interesting conversation yesterday with a scholar in African American Studies and one from Political Science, who both maintain that the recent U.S. Department of Justice scandal (Alberto Gonzales firing federal judges) is about our Republican buddies trying to find replacement judges who will support their statewide efforts to throw likely Democratic voters off the rolls -- i.e. black, Latino, women, and people who have been incarcerated. Because as we've seen in 2000 and 2004, if you know you can't win... you gotta cheat. Anyway, hope it's a good Thursday for you. L.A. is on fire, less than 10 miles from my house, but all is good still. Just staying out the ash-filled air. Trying to be better with using my computer/writing time better. Got up at 5 am the past two days and managed a few pages of work. But, a few sites of note that recently came to my attention. Might be good for you too?!?!? Don't know much about the black LGBT scene in Ft. Lauderdale, Florida, but Lauderdale Boi is doing the most to keep people informed of what's happening in the area. Good site. Writers. Found this GEM of a site: A Newbie's Guide to Publishing by JA Konrath, that's chock full of notes on what to do once/if you're published. Of course the advice is good, even if you're in the wrting phase, so that you know what comes post-writing, post-agent, all that jazz. Of course... for writers, the most important thing is the writing. And Tayari Jones always has great motivation up on her site regarding the writing process and making sure your writing is as good as it can be. Finally, there are many MANY independent bookstores that stock books... and many times they can meet or beat the prices of online or chain stores. So a quick shout out to a few faves I've heard from people across the country: Outwrite Books (Atlanta), Lamdba Rising (East Coast), Books Inc. (San Francisco), Hue-Man Books (NYC), Karibu Books (Maryland), Esowon Books (Los Angeles), Skylight Books (Los Angeles), Unabridged Books (Chicago), and A Different Light (northern and southern California). What are some sites or bookstores you've checked out lately that we should all know about? So most of us who love writing work a day (or night) job that supports our habit, something I've written about on numerous posts. This weekend, one of workshops I wanted to attend but didn't (because I wanted to see Victoria Rowell and Eric Jerome Dickey) was a session called Writing After Hours. It was aimed at those of us who work or do school full time and write. It featured panelists who do both. My writer friend Fiona Zedde managed to secure some notes from the session, and there are some tips that sound pretty promising to me as I continue to navigate two career world. Hope some of these are helpful for you. 1. Using commute time. The commute time is a wonderful opportunity to use to think about your story, jot notes, or record ideas. The panelists offered that turning off the radio/talk shows while commuting helps you focus on story. Of course, if your commute is a train, using your iPod with soft jazz or classical music can help with concentration. 2. 5 - 10 pages a day. One panelist offered that after hours writers plunge forward and shoot out 5 to 10 pages of work a day. Within a few short weeks there is a working draft of a novel that will most definitely need revising. But the object, since time is often a challenge, is to finish something. ANYthing. Because most of us who start... don't. 3. Use break time at work. Often, we have down time during which Internet research can be done. Fifteen minute breaks can be used for jotting notes, recording dialogue, scribbling in notebook. At my day job at the university, I hear and observe a lot that is a catalyst for ideas. Use those moments to help move your story forward. 4. Wake an hour/two earlier. Use one/two hours at night. Pretty straight forward. Often, that might mean giving up or DVRing a favorite tv show, missing a night at gym, or being a little sleepy in morning. I personally love the early morning hours -- 4:30 to 6:30 -- for writing. But that's just me. 5. Give up Internet. Well, not completely. But I have wasted many an hour Internet surfing, doing emails with my favorite people, etc... when I was supposed to be writing. Internet is fine. But trying to remain disciplined in the use, especially while working on a writing project, helps. Anyway, take what you want. Use what you can. Offer suggestions here if you have ideas for Writing After Hours. And she's back with some sick beats from Timbaland, an all female Icelandic orchestra, and other creative, unpredictable and hot goodies. 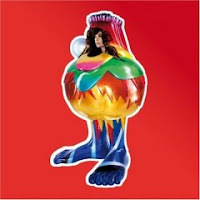 Fell in love with the song Innocence, which you can hear on a Bjork MySpace site among others. Can you believe it's May already?